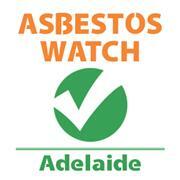 Your message has been sent to Asbestos Watch Adelaide . Like authorSTREAM? Give us a +1! Hi, welcome to our official page at authorstream. We are Asbestos Watch Adelaide, twe are the professional endorsement company for asbesto removalist who own removal and testing licensed in Adelaide. We help people to solve their asbestos problem by connecting them to the trusted contractor, feel free to drop you comment here and we are happy to connect with you. Asbestos Watch Adelaide's Podcasts ..